My name is Sidi Ely. I am Imraguen, ecoguide and President of the Association of Friends of Banc d’Arguin in Maruritania. I live in IWIK, one of the park’s 9 villages. I am also manager of an ecotourist camp, where I have installed solar panels for lighting and solar water heaters. Additionally, alongside the people of my village, we regularly clean the shores of trash rejected by the sea. With my association, my family, my colleagues and friends, we aim to enhance the park, our natural and cultural heritage. Thanks to your gift, we will build locally the first of the two observatories in wood to be mounted all the while respecting the necessary distance to not disturb the birds. Your gifts will also help to put in place information panels on the site and buy 3 pairs of binoculars to help sensitize visitors and local populations to this bird heritage. In particular, your support will help the young people of the village know and differentiate the different species of birds and better help them to protect and appreciate this exceptional natural heritage. Sidi enjoys the technical support of The National Park of Banc d’Arguin, in particular of his ecopartner, Sidi Cheikh, the Geomatician of the Park. 01.04.2013 › Birds’ observatory: What if you could? … be part of a success story. Join Ecofund Community today! When in 2011 in Mauritania Antonio introduced me to Sidi Ely and Sidi Cheikh, I learned that both men shared a dream: to build an observatory for the children of Iwik. You should know that Iwik is one of the nine villages situated in the National Park Banc d’Arguin in Mauritania, a major reproductive site for birds in Africa and a perfect shelter for European migratory birds. Tourists from all other the world visit the PNBA to observe the migratory birds, but the children living in the Park don’t know much about their environment and the different species of birds. That’s why Sidi Ely and Sidi Cheikh - both men are fathers - decided to join forces to construct a bird observatory to reach out to the young people of Iwik. “The young people become the guardians of the Park tomorrow” they say. Today, with the help of the Ecofund’s community, friends from Germany, Senegal, Poland, France, ... as well as the Association of Friends of the Banc d’Arguin, the National Park’s Administration (Thanks to its Director Mr. Diagana) and the FIBA, today Sidi Ely’s and Sidi Cheikh’s dream has become reality. And you are part of this success story. Enjoy the photos! Here is our champion, Sidi Ely, Chairman of the Association of Friends of the Banc d’Arguin, receiving October 9th the binoculars and the telescope for the birds observatory in Iwik. Many thanks to all project supporters ! Many thanks to all supporters of the project ! On my return to Iwik on the 4th October, I had an opportunity to receive the binoculars and the telescope which you had sent us. The PNBA has taken care of the customs procedures and the Park agents gave me the box as you can see on the photos below. I am very happy, because now we can really implement the birdwatching activities in Iwik. On behalf of the Association of the Friends of Banc d'Arguin, I would like to sincerely thank the Ecofund community and all the people who have given us their support. Extract from the book « Le Livre des Imraguen, Pêcheurs du Banc d’Arguin en Mauritanie » by Marie-Laure de Noray-Dardenne, Editions Buchet et Chastel. “I am from a carpenter family. My late father built half the fleet from the Banc d’Arguin. His name was Boughari Ould Louli. He used to work with the Spanish, before the National Park was created. He taught me everything I know, obviously! We didn’t have the same manufacturing codes as those from the park’s workshop. I adopted my father’s way of doing things, but I use modern tools. I started working on the “lanches” during the school holidays, when I came back to the village. The rest of the year, I was in school in Nouadhibou or Nouakchott. When I was fourteen, I started working on my first “lanche” in solo. I am twenty-six now, and I am the youngest carpenter in R’Gueiba. One person can make a whole “lanche” by himself, no problem. In that case, you need four to six months. It’s what I prefer. Good news! Thanks to your donations, we were able to buy as planned the binoculars and one telescope for the bird’s observatory in Iwik! We are glad to inform you that the equipment has been shipped to Nouakchott. The FIBA, our ecopartner for Sidi’s project, is now taking care of the customs procedures. At the same time, the German painter, Christopher Schmidt, works on posters for the birds observatory. They will inform the tourists and in particular the young imraguen on their exceptional natural heritage. Abou Bâ Malal guards day and night over the health of Imraguens. And if he could, he would singlehandedly take care of all them all. But being only human, he is challenged to treat a wound in Mamghar and pneumonia in Agadir in the same day, all while suffering from sunstroke in mid badia. Abou has little competition in the Banc d'Arguin. Originating from the town of Mamghar, which encompasses nine of the Park’s villages, he is indeed its only certified health worker. A few years ago, the NGO, Pharmacists Without Borders, funded a health care course with the objective of training one or two people per village in health care and first aid. Abu was also one of the trainers. But due to a lack of money and adequate compensation, volunteer villagers have laid aside their noble mission, or left the Park and its villages, to complete their education in other lands. Community health workers remain completely dependent on the village community, receiving nothing from the state. A matter of principle, but a difficult choice for health care workers whose initial motivation quickly disappears in the face of lack of recognition or salary. Likewise, villagers can hardly believe in the new found healing powers of their once were fishing colleagues. All this is unfortunate, and increases the work of Abou. But far from being discouraged, he remains innovative. His latest idea: a mobile badia health unit, a team that includes a park agent for logistics. Since they have started, Abou is enthusiastic about the results: seventy-one consultations in two days, not including vaccinations! Obviously, such a rhythm cannot be maintained every day during the tour, and the health post in Mamghar is forced to close due to his absence. Other health care workers are urgently needed. As for the maladies encountered, Abou lists the most common: pneumonia, conjunctivitis, diarrhea, fishing accidents, including frequent tears due to hooks. His health care practice also delivers babies. To live in the Park means to be a link in the chain not only of the natural ecosystem, but in the web of human relations. Existing in the Park requires the means to live as opposed to surviving. Living humanely, that is, by Mauritanian standards, even as they fall well below global indicators of development, year after year competing for the last place of GNP charts (Mauritania’s is five hundred dollars per year per capita). It is true the country does place high in human development indicators. It is said, one in two people live below the poverty line. Nevertheless, efforts are made, and health and school attendance improve gradually. Yet such measures of development are least visible in the villages of the Banc d'Arguin. The area’s high protection against environmental degradation seems to prevent Imraguen’s human development. A broad question, development in the Banc d'Arguin is almost a debate in itself, the issues complex and often contradictory. The starting question is itself terribly problematic: the more humans living in the Banc d'Arguin, the greater the threat from within the environment. Limit human population, and make sure living conditions deter new settlers. There is adequate room for all, since resource-wise, that Imraguens consume a small fraction of available fish. Being a minority is often to be invisible, overlooked or unheard when requesting the construction of schools or health centers to government ministers and administrations, even those that govern the Park. Yet Park officials cannot be accused of refusing to work with residents. Annual workshops, extensive meetings held alternately in the villages, in which village representatives, like the Third Estate in other places and other time, present their grievances, all represent a commitment to dialogue. The heart of this paradox is their number. How can a community of one thousand five hundred people (if not less, some claim one thousand two hundred people), be effective in claiming recognition and demanding facilities necessary for twelve thousand square miles area containing nine villages? Mohamaden and his crew had started out early this morning aiming to bring back croakers. This being the season, the captain was almost sure the channels he had chosen were fish filled. His nets were placed and today he came to pull them. Two hours sailing brought him to the remote location of the first net, but it promised to be worth it, they said. Yet, apparently the croakers had declined the invitation, preferring to travel still further away, pass this route some other tomorrow or maybe never. He knows it is best to forget quickly the mighty efforts made for so little gain: early risings, assembling the other four crew members, checking the threads of the net, verifying fresh water, food. Was there enough tea made, had mint been thought of? And had the radio been taken? The lanche must be pushed, the sails tended to, eye navigation, landmarks located, nets placed by other avoided; he searched for his own. Ancient art meeting habit, the vivacity and harmony of movement. Launch the anchor at the right time, right place. Synchronize the efforts of one and another, speaking the right words necessary, launch the "ho .... Hoisted! " of collective momentum that might raise tens of square meters of waterlogged nets onto the lanche. But neither effort, nor the years of experience and know-how is enough; it is also about luck, baraka. This is the fate of any fisherman. Accepting today as it is earned. This night, we will eat the fish caught by another, but tomorrow, Inshallah, we will feed the whole village. Yet there is also the thought of the seagulls overhead, the merriment of the crew, shared sips of tea at sea, this solid lanche as it splits water. Cool breeze and warm sun. Dolphins happily seen from far, rarer than ever, their presence to man always friendly, a boon. The construction work shall begin during the summer. We hope that the observatory will be ready for the summer camp “Discovering landscapes of Banc d’Arguin” organized by Sidi’s Association and his partners, la FIBA and the National Parc Administration. The participants are kids (5 girls and 5 boys) form Imraguen villages in the Parc. The observatory plays a fundamental role for the discovery of the richness of the PNBA. The National Park of Banc d'Arguin (PNBA) in Mauritania appreciates your efforts for the protection of its birds! In addition to the 1,575 euros raised on Ecofund until the deadline of 31st March, which represents 20% of the total ecoproject’s costs, the PNBA has decided to fund the remaining 80%. So, PNBA’s contribution will allow for the construction of the bird’s observatory in Iwik, while your donations will finance the equipment: binoculars and educational bird posters. The fundraising target amount has been adapted respectively. Thus, the ecoproject has received the full funding. On behalf of Sidi Ely and Sidi Cheikh, and on behalf of the children of Iwik, we would like to thank you! Soon, the young people of the Iwik village will have the “tools and means” (see picture below) to know and differentiate the different species of birds and better help them to protect and appreciate this exceptional natural heritage. In the coming updates we will inform you step by step about the construction of the birds’ observatory. Follow the updates! The waters of the Banc d'Arguin don’t always seem to be inhabited. Certainly we have come across smiling dolphins, wriggling sea bass, shining mullets, or even spouting clouds of crabs more frightened than hurt. But, at the entrance to a sea channel, one can also come across shark. There are all kinds, but do not believe their seemingly sleepy eyes, some are quite dangerous and will regularly attack. Sharks, and their cousins rays, have never interested the Imraguen, they prefer the fine white flesh of mullet or sea bass. We often saw foreign fishermen, West African, Ghanaians and Malians, stock up on rays, to eat or sell to restaurants in larger cities. But such low level fishing has not really disrupted the community of selachians (the scientific order of rays and sharks), who thrive in the rich waters of the Banc. But during the nineteen-eighties, due to an increased demand by Asian markets, food companies began to seek shark, more precisely, shark fin, to satisfy wealthy customers in love with this rare so-called delicacy. For some years, Imraguens devoted themselves to this demand, even adapting their fishing nets, spurred by specialized wholesalers who had found the proverbial goose that lays golden eggs. Piles of sharks carcasses littered the surrounding villages in mass graves, sacrificed solely for their fins. We fished so recklessly and in such great numbers that in a few years, the survival of these long-living species with particularly slow reproductive cycles, became in great danger. Researchers were alarmed and the Park decreed an in extremis ban on fishing. The only catches now permitted, are accidental: rays and sharks caught in nets intended for other fish, like mullet and croakers. The Ghanaians and Malians are still there, and buy at very low prices these few selachians they immediately salt and brine, before exporting them. The first year after the ban, we were quite affected, and even became annoyed. We were forced to give up a prosperous fishing trade that had become a habit. Still we did it. And that year the mullet catch, then that of croaker, were very good. At least, all was not lost. The ban on shark fishing has adversely affected us. Before, you could buy several good quality boubous in a year... Today we learn to do with just one! Me, I have not burned my toyo net as it was requested, but I use it as a canopy for my Tikka. We, the Imraguen, are always willing to respect nature, that is why we accepted the ban on shark fishing. But still ... One day in Portugal, I saw hundreds of tons of shark on a boat. I remember thinking: Europeans, through the Park, prohibited us from doing what they were doing elsewhere, and look how they were profiting from it! Shark fishing should be banned everywhere ..."
I just came back from the National Parc Banc d’Aguin, where I guided an expedition of Dutch scientists. On our journey through the Parc we studied the evolution of the amphibian seagrass beds of „Zostera noltii“. Below you will find some pictures from our expedition. Enjoy it! 1. Good morning Marie-Laure, can you tell us a bit about you? In my work and in my life, I have been close to the African Continent for 20 years. First I lived in Mali for two years, as a volunteer in charge of Information and Training aimed at French volunteers. When I came back to France, I wanted to continue working in the development field. So I took a Master’s degree in Communication, then I studied Sociology of Development while working for an NGO. I got married too, I had two children, and then I went back, with my whole family, to Mali, where we stayed for five years. 2. Would you define yourself as a Nature writer? It’s really at the heart of my work. In fact, I try to mix the craft of a writer to a qualitative approach of sociology. A medium like “The Book of the Imraguen,” is a magnificent way of doing my job. I feel more like a spokesperson than a penholder! I try to be a part of sustainable development through people, inhabitants, and I try to make their words and even their emotions come closer to the surface. I create books for these people… especially the one on the Imraguen. It’s their book, which is why I chose this title. 3. Have you written other books on this subject? Many years ago, I was an Associate Researcher at the RDI, working on a program dealing with the interior delta of the Niger River; the photographer I was working with and I went and met the people living in those floodplains; I listened to what they thought about the program, and I wrote a book on the subject… one could call it popularization of science – although I don’t like the word. Later, the UICN contacted me and asked me to do the same kind of thing in Cameroon, a kind of crossover of human groups living on floodplains. But this time, I wanted to work with local school kids who were members of Nature Clubs. We gave them disposable cameras. Some of them proved to be excellent photographers! 4. How did you hear about the Banc d’Arguin? And about the Imraguen? The FIDA, the Foundation of the Banc d’Arguin, is a partner of UICN. I suppose they liked my previous work. So they suggested a somewhat similar format, but this time we were going to compare the fishermen of the West African Coast: the Bijagos, the Imraguen and the Saloum fishermen! A huge endeavor! And then, for various reasons, the subject matter got restricted to just the Imraguen. The project took two years, during which I carried out four missions to the Banc d’Arguin, in total immersion. It took some time for me to travel, understand, collect, mature. I didn’t think the women would enjoy so much freedom of speech…I felt immediately at ease. Interviews would take so much time...It’s very hot… you drink tea… One night, as I went to bed, I realized I had drunk 21 cups of tea that day! I told myself it was time to stop and start writing, even though it was hard for me to just take out my notebook! All in all, I think I spent two months and a half there. This book is a collaborative communications project. I gave the women and the fishermen cameras…in between data collecting missions, I’d have the photos printed on A4 paper and people would comment and choose the best pictures. 5. Publications on the Banc d’Arguin tend to focus on its natural heritage. But in your book, you yield the floor to the Imraguen, the inhabitants of the Banc d’Arguin. Exactly. I did it on purpose. It’s true that publications on the Banc are often historical. I think they are kind of angelic, too idealized: fishing in symbiosis with dolphins…I tried to avoid this kind of classic stuff. I wanted to enter the everyday life of the Imaraguen, to understand their paradoxes, as they live tucked between nature and city. They perfectly symbolize the pros and the cons of living in protected areas… areas not always protected in the direction of the inhabitants. They make us question the more general problem of land: to whom does it belong? I am very proud of the foreword, written by Abdou, a professor in Sociology, who talks about this very point. 6. Do you know Sidy Ely, our champion, and his initiatives? I do know him! I even interviewed him! He had lots of ideas! We talked a lot about the welcoming of tourists. It was very interesting. He was very curious, had lots of ideas and energy! 7. Precisely, are there any initiatives on the Banc that you particularly like in an environmental point of view? Setting up a shipyard on site, to rehabilitate the “lanche” as the primary means to fish was an excellent idea! It has provided an alternative to the interdiction to fish with an engine, has created a high quality craftsmanship and know-how, and illustrated a useful and rich North-South exchange of experience. 8. Our future is green! Do you think your book and an initiative like Ecofund can have a positive impact on the protection of the environment? A book is a book, and a website a website, but I really believe in this kind, among others, of links between people from here and from elsewhere, from the South and from the North, from the water and from the land, from the desert and from cities. The more we multiply places where exchanges can occur, the more we provide platforms to those who don’t normally have one in today’s communication landscape, the better for everyone! 9. What will your next book or article be about? I would love to write a collaborative book with the inhabitants of the Sine-Saloum, in Senegal. If an NGO or an institution wants to contribute, I’m ready to go! I’ve also just finished writing a children’s book titled “The Odyssey of Houmarou”, an African version of Homer’s texts and it takes place along the Niger River. The Pantheon is made of divinities from the Fulani, Yoruba, Bambara and Songhaï people… my co-writer Antoine Barral took charge of the Illiad. In a different genre, I’m finishing a guide on the integrated management of natural resources for Members of Parliament and Elected Representatives of the seven coastal countries from Mauritania to Sierra Leone, Cap Vert included. The guide was an initiative of UICN Senegal. I also have a collection of short stories in the works, based in Africa, as always. Ibrahim Ould Mami Nagle has been Chief of the village of R'Gueiba since 2005. A few months after his appointment, he described how, in spite of himself, his responsibilities became obligation, depicting life in this small town. "During the lifetime of my predecessor, I played a small role as deputy. I accompanied him to town, he would ask my advice. At his death, we gathered to decide who would replace him. Me, I proposed a cousin of the late chief, older than me, but he flat-out refused. The villagers said, "We want the chief to have been born in and a current resident of R'Gueiba." Of those eligible, there were two old men and me. As it was difficult for the two old men to travel, everyone agreed to my appointment. I agreed on condition that I would make no decision without consulting the villagers. Women are very influential in the choice of chief. I am the youngest village chief in Banc d'Arguin, if one does not count M'Barek, the son of Barka Agadir who governs with his mother. I was born in 1959, just before independence. I never went to school, but I want to develop education here. We also need a health care center. Education, health and water are our three main problems. For water, we are still waiting the opening of the desalination unit (which we call survey). We can’t use it before its inauguration with that of Iwik... For this, it must wait until the survey in Iwik is completed! But I am concerned about the water quality. Some say it is still a little salty, which can strain the kidneys. It would not be good for older people ... It's hard to live a village without water. This is what hurts me the most. It's a shame because the site is beautiful and life here is healthy and simple. Here, the sea is different from the sea at other villages. The water is immediately deep, it's almost a port. It's convenient to board, disembark, do laundry and dishes. It is a strategic fishing point for mullet and croaker, and the sea is less dangerous than elsewhere. The restrictions imposed by the Park are for the good of the Banc d'Arguin, for our common good. I agree with limiting the number of lanches. Eighty working lanches are actually sufficient if one wants to keep the splendor of the ocean. Any more would be bad for the ecosystem.The ancients had a fishing calendar very respectful of nature, long before the country even existed. Out of all the Imraguens that make up the bright constellation of Banc d’Arguin, Farida Mint Habib is a star all her own. Barrakilla, daughter of Mulla, the founder and chief of the village of Auguesh, Farida is both consultant and translator for the Park and its partners, collaborating on research programs and development. Her commitment to a better life on the Banc d’Arguin has made her quite popular with Imraguens. Over the course of two interviews, she remembers a childhood divided in three parts: in the khaima bush, in a seaside village, and schooling in the city. “I was born in Nouakchott and I lived there until the age of eight. When my parents divorced, my mother returned to see her family in Nouadhibou and Banc d’Arguin. I went with her. At first we were at R’Gueiba, and then my mother settled in Auguesh to start a village. I was in school at Nouadhibou but, anytime I could, I always returned to the Banc d’Arguin. I spent my vacations between R’Gueiba and Auguesh. I know the Saint Jean bay by heart. I remember seeing and playing on the beach between hills of mullet and sea bass. We swam a lot, along with the other children. There was never a difference between those children who lived in the village all year long, and those of us in school. My family had a herd of camel and when we came home on vacations, one would be killed in our honor. What a celebration! At that time, R’Gueiba was well populated but isolated. Many people passed through. This was before the construction of the paved road inland. At the time, the Nouadhibou-Nouakchott road passed through Auguesh. We had fun watching the tourist cars! The Paris-Dakar Rally passed through our little village. We ran to see the cars and received lots of gifts. At high tide, the competitors pitched their tents near the village, waiting to cross to Mamghar. We would laugh at them. When vacation ended, we could return back to Nouadhibou in a motorized boat that would take about a day. Sometimes we took a small sailboat back and that could take two or three days. We never rushed. Good news! A tourist from New Zealand has offered the camp in Iwik equipment for wind power as well as a small pump to desalinate seawater and allow us to plant vegetables on site. That way, we don’t have to travel 300kms to Nouakchott to buy some anymore! Christmas, same procedure as every year? Be inspiring in 2011! Instead of buying the 10th fragrance voucher for your family & friends, make a donation in their name, and we send you this certificate to offer: with only 5 euro you can protect a couple of Eurasian Spoonbill on the Banc d’Arguin in Mauritania! A really good idea for Christmas! I am currently trying to find ways to recycle the waste we collect during beach cleanings. Along with women and kids, we are for instance recycling tin cans by turning them into ashtrays or decorative objects that we sell to tourists. Like every month, I organized on October 8th a day of village and beach cleaning in Iwik. Ecoguides, students, fishermen, women ... all in all, we were about fifty people collecting plastic bottles and plastic bags, used nets, batteries, tin cans: we managed to clean up from this waste the southern part of the beach! Sidi Ely, project champion and Sidi Cheikh, the Park’s geomatician, both live and work in Iwik, the Imraguen village of 160 inhabitants located in the heart of the Banc d'Arguin. Together, they invest their time and energy to the preservation and promotion of their natural heritage. Sidi Ely was born under the burning sun of Iwik but studied oceanography in the polar climate of Murmansk in Russia. After ten years of study, Sidi Ely returned to his native village armed with expertise and experience, dedicating himself to the environment, including "the beauty and tranquility of nature in the Park, which is “my heart”. "Manager of the Park’s first ecotourism camp, Sidi Ely is always in search of clean technologies to meet the growing demands of tourists. Equipped with LED headlamps and the empty cans with a few solar panels, for example, he constructs the camp’s night lighting. Once a month, he also organizes beach cleanings, collecting the waste rejected by the sea. "At first, when they saw me cleaning the beach alone, my Imraguen brothers thought I was crazy, acting like a foreigner because of my stay in Murmansk! But after a while, when they saw the tourists came to my camp to help me, they said that if cleaning the beach was important for people from so far away, then it should be even more so for people living here Iwik!" He shares this love and commitment to the exceptional setting of Iwik with Sidi Cheikh, the geomatician at the PNBA observatory since 2007. Sidi Cheikh is full of praise for the beauty of the Park: "The Park with its beautiful birds and amazing landscapes! It is the greatness of natural monuments forged over time in the days and nights of the wind and changing seasons. "His work includes helping park managers organize and apply the spatial data collected in the field. He leads missions to collect data or facilitate research work, always with the active participation of the villagers. Like Sidi Ely, he considers the birds one of the greatest assets of the Park: "I've always been fascinated by the organization and manner of bird life. It is important to realize that millions of birds make a regular trip from very distant areas to get here! I always wonder how these birds are guided and how they behave once they arrive at their destination." Both men are fathers, even if, as Sidi Ely states, they consider "all the children of Iwik their own". They decided to join forces to construct two bird observatories, to reach out to, in addition to tourists, the young people of Iwik. For Sidi Ely, "the youth of our village are the guardians of the PNBA tomorrow. I want them to know more about their environment and the different species of birds. "This is a statement shared by Sidi Cheikh: "It is clear that children today are less attached than their ancestors who were much closer to their environment." 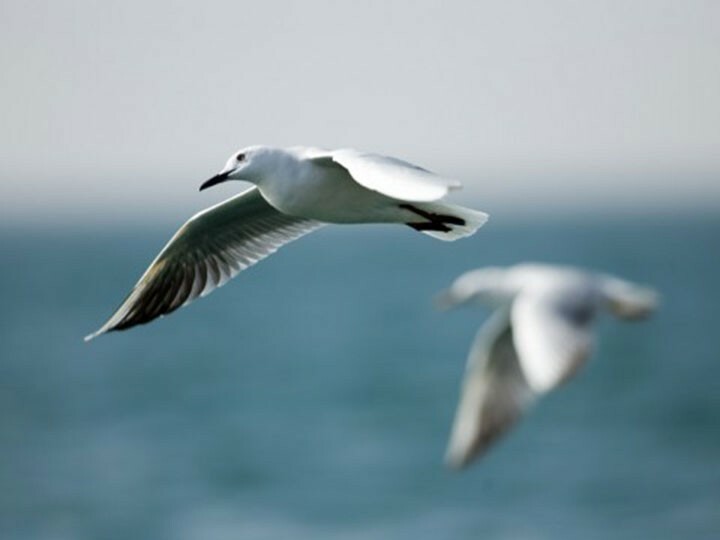 Join the mission of both Sidis ... for the millions of young birds and the Banc d'Arguin! Each year in the fall, millions of birds migrate over long distances, crossing deserts and continents, to seek refuge in the Banc d'Arguin, only to return north in the pring. Throughout their journey, these migratory birds cross political, economic and cultural borders seeking areas for rest, feeding and reproduction in different countries. They are both the symbol and the most concrete expression of the phenomenon of the interdependence of our global ecosystems. Bird migration is considered one of the great natural wonders. For example, the Red Knot (Calidris canutus), a species of large wading birds, travels a distance of 4,500 km between Europe and the Banc d'Arguin! Most birds migrate in groups of V formations. If how they find their way still remains a mystery, one of their favourite destinations is no longer a secret: Mauritania. Every year more than two million birds seek refuge in the 12,000 km2 Banc d'Arguin, for quiet and food. Inhabited only by a thousand Imraguen fishermen, the park’s calm and isolation offers a bird haven, the mission of Sidi’s project. For food, upwelling promotes plankton-- at the base of food chains in the marine ecosystem -- and thus fish, shellfish, as well as molluscs and worms are found in abundance. Almost all of Northwest Europe’s migratory birds winter on the Banc d’Arguin. The White Spoonbill (Platalea leucorida) for example, recognizable by its long, broad, flat beak, travels from Europe, across desert and sea to reproduce on the Banc d'Arguin. One Spoonbill sub-species have even settled at the Banc d’Arguin: a sub-species now native to the Banc d’Arguin. More generally, the islands of the Banc d’Arguin are real nurseries for European birds such as herons, pale grey herons, flamingos, egrets and gulls to nest and breed. The Banc d'Arguin is one of the last great untouched, unexploited natural in West Africa. Thus, it is still inhabited by species that are other places depleted or extinct. However, the bird Eden that is the Banc d'Arguin is fragile and threatened by the discovery of oil nearby and human development, including tourism. Sidi’s observatories, which will allow bird watching all the while respecting the bird’s need for quiet and privacy, are primary to the effort to protect birds from around the world, not only for their survival, for the happiness of all. Neither the name of a tribe, nor the name of a language, it isn’t easy to explain what exactly "Imraguen" means. Imraguen is the identification with a specific way of life or better yet a singular way of fishing. According to “Le livre des Imraguen” by Marie-Laure de Noray-Dardenne, to be Imraguen is to “be part of the rich and fragile ecosystem which makes the Banc d’Arguin a joy of nature. Imraguen means those who live by the sea and who fish respectfully, without spoilage, waste. The Imraguen are the nomads of the sea. Numbering at the very most about a thousand, the Imraguen are the only people authorized to live in the Banc d’Arguin National Park and to fish in its rich fishing waters. The Park is home to 9 villages, including Iwik, Sidi’s home, the best place for bird observation. The Imraguen are known for a fascinating, abiding traditional fishing ritual, inspired by the natural conditions of the Banc d’Arguin: responsible and tactical fishing on foot of yellow mullet. From the shore, when a man indicates the passage of a school of fish, others enter the water with nets on their shoulders. By striking the water with sticks, they attract dolphins which create a barrier that prevent fish from escaping to sea. Driven to the shore, the mullets are surrounded by men and captured. Upon capture, the fish are opened, cleaned and dried by women. Every part of the fish is valued, including the ovaries of pregnant females, slightly salted and dried to make the “poutargue”, and the head and organs, boiled in water to extract an oil rich in trace elements and vitamins known as "dhên". These processing techniques, unique to the Imraguen, are ancient skills passed down from mother to daughter. Canary Island fishermen, arriving in Banc d'Arguin in the 1930s, changed traditional fishing techniques introducing fishing from lanches. These unique motorless sailing vessels, allow the Imraguen to fish off the shallow waters of the Banc d'Arguin. Identified by the Park administration and limited in number, today there exist only a hundred that Imraguen are allowed to use the Park. According to “Le livre des Imraguen” to live in protected areas such as the National Park of Banc d'Arguin, is to be willing to be guided by the laws of nature and how to safeguard it. Aware of their privileges in particularly in relation to fishing, Imraguens are involved in surveillance of the maritime park. In addition, with the desire to respect the riches of Banc d'Arguin, the Imraguens play a key role in the park, by initiating projects such as Sidi’s. They are the people, the guardians and guarantors of the future of the Park. Support them! Located in Mauritania, the National Park of Banc d’Arguin covers 12,000 km2, an area comparable to the territory of Gambia, or 5 times the size of Luxembourg! Half land, half sea, since 1989 the park is classified as a world heritage site by UNESCO, and is one of the most important in Africa. The Park is home to over 2 million migratory birds from northern Europe. It is also home to a number of other species like the Great Cormorant, the White Pelican, but most of all the Spoonbill and the Grey Heron who do not reproduce any place else. The Banc d’Arguin waters are some of the world’s richest fish waters, thanks to the phenomenon of upwelling: dominant east winds pushing surface waters out to sea. This movement provokes the upsurge of deeper waters, cold and nutrient rich, allowing for an explosion of phytoplankton. The Park’s sea space is nursery area, reproductive space, and important sources of food for fish populations, not only for Mauritania’s fisheries but also for the sub-region. The marine biodiversity of the National Park of Banc d’Arguin is particularly rich; different turtle and sea mammal species are represented including the green turtle, bottlenose and humpbacked dolphins. The Park’s hundreds of monk seals, one of the 12 most endangered animals in the world, are one of the species’ last major colonies. The Park’s challenge is to defend the totality of its natural resources and its ecosystems, threatened by overfishing, human development and climactic changes. Sidy’s observatories contribute to this effort. Along with the Imraguen community, the fishing peoples inhabiting the Banc d’Arguin for centuries, Sidi works for the conservation and sustainable management of this unique heritage.